The kitchen is the heart and hearth of your home and learning to maximize this central hub with space saving tips is important. Have you ever heard anyone say, “I wish I had a smaller kitchen?” This is where the bulk of family activity happens - everyone has to eat and drink. Creating the feeling of a larger kitchen and/or dining area can offer some advantageous lifestyle options. Depending on where your kitchen is located it could even be a more transitional space into other areas of your home. 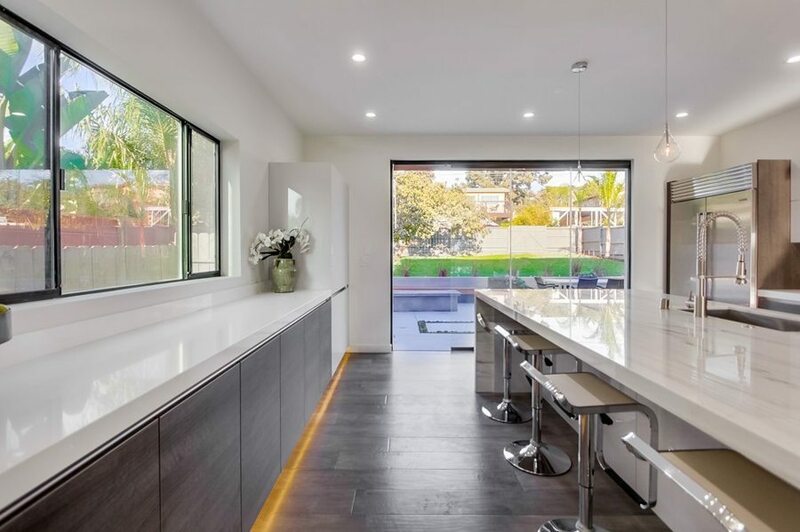 Here we explore the possibilities that open up with frameless sliding glass systems and kitchen floor plans. One of the most important space saving tips within the kitchen is to identify what aspects about the kitchen are more utilized. Is it the counter space? The dining table? Window sills? From there you can decide how to best maximize the use of these areas. Light and ventilation is a key for making space saving tips work for your kitchen area. Dark, enclosed areas often make a sizeable space seemingly smaller. Opening up walls or window areas will allow natural light and ventilation to flood the room, essentially creating a light and airy feeling. Yes skylights can be an option, but they come with more disadvantages to advantages. Skylights can damage the structural integrity of your roof system and will often lead to roof leaks. They can disrupt heat and light flow immensely by allowing more light and heat to pass through and heat to escape. Removing a chunk of your roof is a risky endeavor. It is viewed as safer to ask a contractor to remove an existing wall or to expand a window opening, as it can always be safely and securely built up again. 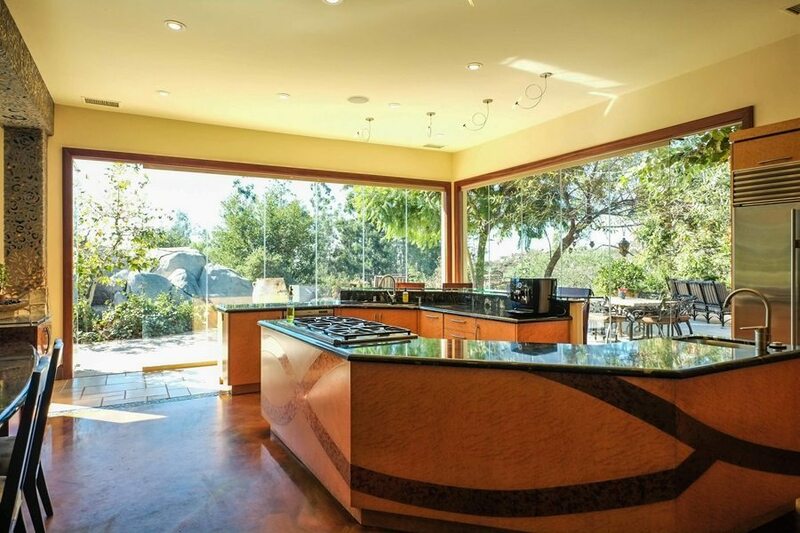 Natural light in your kitchen can help you save money where it really counts. Cooking, cleaning, and hosting can be made more enjoyable with natural lighting and fresh air flowing through. Smells can waft throughout the house, smoke is given an easier escape, you won’t have to squint to see the vegetables you're chopping. Not to mention, waking up while making breakfast will be made easier with the help of natural light to wake you up. An open floor plan is one of the most powerful space saving tips and will undoubtedly open your kitchen and dining space up immensely. Less walls means more room and more creative options to use the space. Maybe your kitchen and dining room area doubles as an office space or homework space for the kids. Taking a wall or two out will allow you to create a more inclusive home atmosphere for everyone and every activity. You can keep an eye on the little ones while cooking or you make big business decisions over lunch. You may also consider exploring space saving tips with a more modern open floor plan with frameless sliding glass door or wall systems. They can be used to transition from room to room or from interior to exterior. Replace a wall with crystal clear glass or trade in those bulky patio doors. These beautiful frameless glass panels are a safe and secure, sound proof, weather proof, and energy compliant option. The top-hung system allows user to easily slide the individual panels without the fear of track jumping. The magnetic ½ inch glass panels stack individually and neatly at 90 degrees to either side of your system and giving you the option to open your home up in a number of unique ways. Windows can be used for more than just letting in a cool breeze or airing out your home. They offer unique spaces that can be taken advantage of, especially when maximizing your kitchen area with space saving tips and techniques. Counter spaces and countertops can be expanded with the use of a frameless glass counter height system. An operable window, as well as a pass-through opening, is perfect for entertaining guests outdoors and indoors. This example creates a seamless pass through that maximizes space, but can also grant conversations and exchanges between the inside and outside. Window systems can be more unique in shape than just your standard bay window. A frameless sliding glass window system is perfect for transforming ordinary windows into an impactful statement within your home. They are designed to fit a range of angles to suit any and every need. A combination system works well if you enjoy both a sliding window and door system. 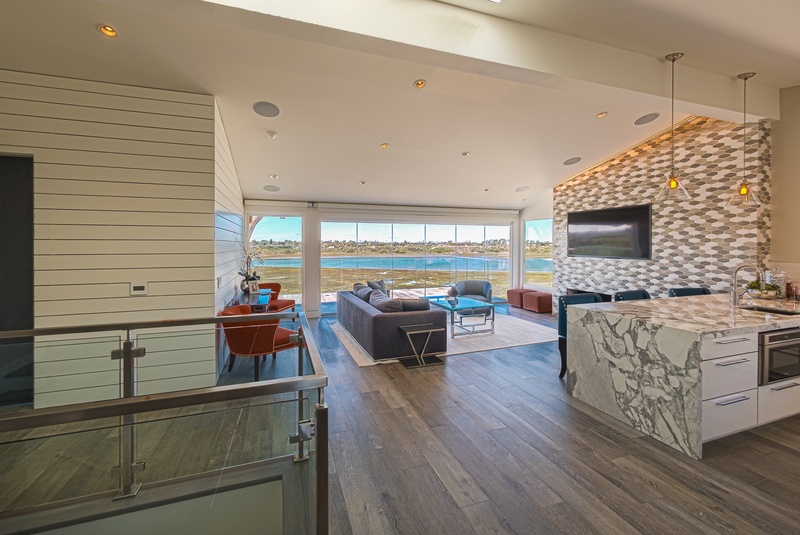 A frameless sliding glass door system can be connected to a smaller window version without needing a wall or post for support. 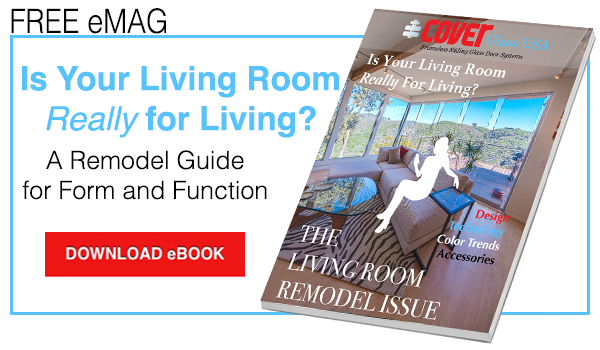 While change can sometimes feel overwhelming, or even difficult to master, it has the ability to create a new look and feel within your home and even add value to your real estate property. These space saving tips won’t just transform your kitchen or dining space, but they’ll also enhance you and your family’s lifestyle by offering you more room to do what you love.